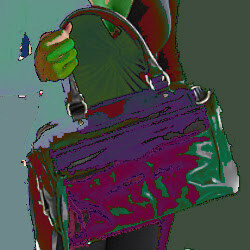 Bulga Bags are burning up at SHOPBagTrends.com!! 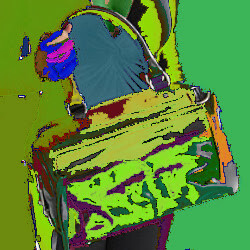 The crinkled patent shoulder bag is flying off the shelves (or rather through cyder space!) Thank goodness Michelle and I decided to stock up a lot of them. If you've been thinking out this bag, go for it. It's so divine. Mama bagtrends (ie my mom ;) ) has been drooling over it so I had to order a special one for her. I may not be able to get more so like I said, if you've been thinking about go for it. Oh and we're running a special 20% OFF on ALL BAGS now through November 2, 2007. Use promo code Fall07. The Ted Rossi boutique will be opening in mid-November inside of Henri Bendel. The 75 sq ft. shop will be located at one of the storefront 5th Avenue windows and will feature the full range of Ted Rossi products, including jewelry, handbags, and hair accessories. I'm so excited for Ted and his whole team! When I first launched BagTrends nearly three years ago, Ted Rossi was one of the first brands I featured in that memorable April 2005 Top 3 Trends. It was also the first brand to do a giveaway with us that one you lucky bagistas got to enjoy. It's been a great three years for Ted Rossi and BagTrends - we've both come a long way! Rock on TR!! Here are some must-have pink products I've recommended at ThisNext.com. With each purchase, a portion of the profit will go to a breast cancer charity. See more of the Think Pink, Think Chic list by pamelapekerman at ThisNext. I have very exciting news to share! Wednesday, October 17th, I'll be making my debut on HSN, the Home Shopping Network. Naturally, I'll be chatting about handbag trends for the fall and holiday season and discussing Luce Handbags. Tune in and join the fun as I bring my bag-a-licious touch to HSN. I'll be doing the Today's Special - which means a 24-hour non-stop roller coaster for bagistas everywhere. My official hours are 2-3am, 3-4pm and 9-10pm, BUT I'll also be doing 10-minute segments at midnight, 7am, 8am, 10am, 12pm, and 6pm. This will require lots of tea and fruits!! I'm not big on coffee. Check your local listings for the channel or watch online at HSN.COM. I hope you join me. I would love your support! If you're a fan of luxury handbags, but your wallet hasn't caught up to your taste you'll love the new "Vintage Collection" at Bag Borrow or Steal. The "Vintage Collection" is a compilation of the most coveted designer handbags in the world from iconic designers, including Chanel, Gucci, and Hérmes. The collection is the first of its kind available for borrowing and includes some of the most sought-after handbags in the world, such as the Hérmes Birkin and Kelly. Each piece is individually priced with a monthly rental range from $100 - $4,800. Weekly rental are available, starting for as low as $40! I love that Bag Borrow or Steal has teamed up with Clair Watson, couture consultant for Doyle New York auction house. Watson is BBorS new vintage curator responsible for assembling the collection. "As a result of the rising popularity of vintage accessories, their price tags are soaring, nearly doubling what they were 10 years ago," said Watson. "Vintage fashion makes a distinctive style statement in a fashion landscape where it is increasingly difficult to stand out. The designer handbags in the Vintage Collection give women the means to enhance their personal style and express their individuality." What do you think about borrowing bags? Ya or nah? Let me know. I was inspired by the Warhol-esque videos produced by Alpha Kitty so I decided to do my own artist work. What do you think? Below are four fabulous versions of the Rebecca Minkoff Morning after Mini. I have to share a fabulous new project with you called Alpha Kitty - a combination of girl power and Oprah Winfrey meets the digital video revolution. Alpha Kitties are brave, intuitive, fierce, and passionate. The brainchild behind this movement is former Seventeen editor-in-chief and founder of CosmoGirl! Atoosa Rubenstein. (FYI I heart Atoosa so much. She's one of my media role models and I love her positive message for young women). But back to Alpha Kitties, which first scratched the couches of YouTubers, with videos of young phenomena like 18-year old Esmee Denters the first artist signed to Justin Timberlake's record label; fashion writer and my good friend Zandile Blay; and designer/drag queen Phillipe Blond. Now Atoosa's teamed up with Andy Warhol :) or at least his book and once again aims to uplift, inspire and empower young girls to believe in themselves; to stop looking up to the Lindsays and Paris' of the world; to go out and make their dreams come true!! Watch the video's they are great. 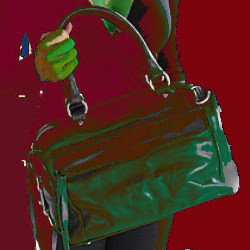 I'm so SO excited to finally present BULGA Handbags at SHOPBagTrends.com. I've been a fan of the intricate designs and quality leathers behind this brands. Plus, I always love to support Russian designers - did I tell you I'm first generation American with Russian roots!? Any who, you have to checkout the fabulous bags we picked out. 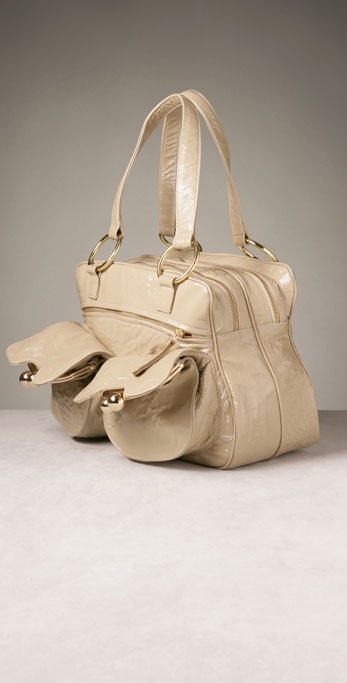 My favorite it the crinkles patent shoulder bag in eggshell. It's to die for! Oh, and are prices are beyond fabulous. Just try and find a better deal :). Always looking out for you gals! Have you been on the new Isablla Fiore ecommerce site? I've been wai ting for this brand to have a proper website for years and I'm trilled they've got it together now. Visit the site for new shapes and colors including the Echo My Deco "Margo" Tote, as seen on Miss Teen USA (the fabulous brunette below). The bag will be available online in late October. For more celebrity sighting checkout BagTrends Celeb Trends. We even have another spotting of the lovely Miss Teen USA with her Junior Drake bag! When a brand goes out of it's way to give back I think it's worth a mention. Brighton, an LA- based accessory company, designed a bracelet and raised $250,000 for four non-profit organizations working towards peace - something we're all praying for, I know! Seeds of Peace received $45,000. Seeds of Peace is dedicated to empowering young leaders from regions of conflict with the leadership skills required to advance reconciliation and coexistence. http://www.seedsofpeace.org/. Women for Women International received $76,000. Women for Women International promotes peace in the home by supporting women in war-torn regions with financial and emotional aid, job-skills training, rights, education and small business assistance so they can rebuild their lives. http://www.womenforwomen.org/. USA Cares received $69,000. USA Cares supports those who sacrifice for peace – the members of our military and their families – by offering assistance with such necessities as food, housing, primary vehicle repair, mortgage repayment and rent. http://www.usacares.us/. Action Against Hunger received $60,000. Action Against Hunger delivers programs in more than 40 countries in emergency situations of war, conflict and natural disasters to end hunger and create a climate for Peace. http://www.aah-usa.org/. Have a bag-a-liciously PEACEFUL day!